Peter aka the Big Cheese, Il Capo, 'the Guy in the Hat.' When Peter's not happily behind the counter, he can be found 'MacGyvering' unique construction projects around the shop, or hanging out with his Havanese dog, Tilly. Peter loves traveling, especially hiking through Portugal, Spain, and Switzerland (with wine and cheese waiting on the table at the end of the hike). Brie (yes, Brie) has been working in cheese since she was a teenager and is a passionate member of the industry. Brie champions our cheese program, geeks out over our finance reports, and is the biggest food-safety enthusiast you know. She enjoys business podcasts, 'Friday Night Lights,' and has an eye for food photography and sneaker-collecting. Susan is a ball of energy that you'll hear laughing uproariously around the shop. She's determined to find you the perfect bottle (or 12) and is known for making the most wine-intimidated folks feel at home with her friendliness. Certified Level 4 from Boston University’s Elizabeth Bishop Wine Studies Program; a member of the Court of Master Sommeliers. Kiri is a stylish sports fanatic, very good at braiding hair, and requires 'tea time' every afternoon at four o'clock sharp. Kiri has competed in the Cheesemonger Invitational (CMI), placing 6th this year, and is one of the most competitive and kindest spirits out there. Other interests include Fantasy Football, baking, and anything chocolate. Not only is Christine a skilled cheesemonger, but she is also the mastermind behind Curdis Cooks, and our food prep organizational guru for the food-centric parties we have at the shop (mmm, fondue). She can also give you advice on sewing a slipcover for a chair, how to make the prettiest hors d’oeuvres, or improving your tennis swing. 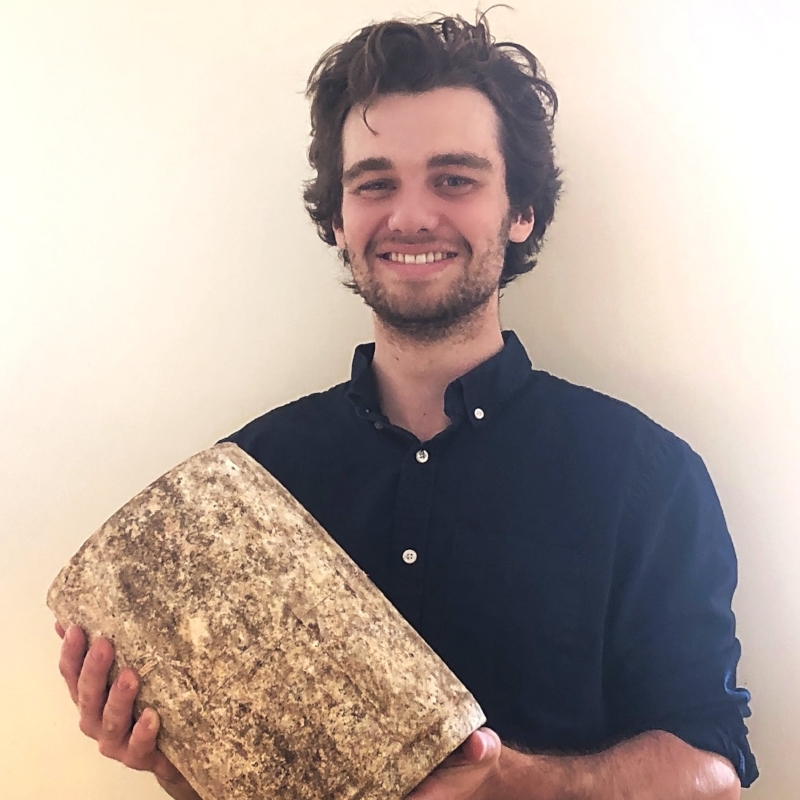 Chris has experienced multiple parts of the culinary world - from receiving a culinary arts degree, to making charcuterie, and now cheesemongering and buying beer. When he’s not slinging cheese or beer at the shop, you can find Chris on his surfboard, cooking up some insane dinner just for the fun of it, and hanging out with Moxie, his furry feline companion. Before he was lifting heavy wheels of L'Etivas at the shop, Jimmy mongered at Formaggio and Whole Foods. Jimmy's music knowledge is extensive, and has an affinity for heavy metal, but also John Coltrane. Jimmy is dedicated to health and fitness, and spends every morning Crossfitting and chasing after his two sons. Molly is a wordsmith of wine, and contributes to our weekly newsletter and wine blog. A member of the Court of Master Sommeliers, Molly's wine and cheese descriptions are mouthwatering and evocative, and there is a high probability you will want to try everything she highlights. She has a special fondness for Chenin Blanc, her rabbit Barnabas, and weird facts. When not in the Amazon studying monkey behaviors (the shop also allows him such research), David is behind the counter mastering a plethora of accents (including his alter-ego Klaus), keeping us up to date on what's cool on YouTube, and making "music" with his beloved Horn (also pictured). Meet Curdis! Curdis is our store mascot. Curdis enjoys long walks on the beach and eating an entire wheel of cheddar. This Perfect Bite was brought to you by Joe. Putting flavor combinations together is one of Joe's gifts, as well as always having a good book recommendation (preferably sci-fi). Joe coaches high school track, is the assistant director of a summer camp, and is a skilled woodworker. Joe made the life-size wooden wine bottle and the wooden pig, that hang in our shop, using recycled pallets! Jake is majoring in English and Political Science at UMass Amherst and has a major crush on Roquefort. In his spare time, Jake is a food critic on his college newspaper, loves to travel, especially to bella Roma, and is currently compiling a fictional short-story collection. How do you say Wrångebäck? What is herring in cream sauce used for? What is a lingonberry? These are the questions you can ask our resident Norwegian, Ingrid, who has also introduced us to the joys of Aquavit. What's in her glass? Rosé with a lot of skin contact, preferably Northern Italian or Southern French. Oh, and she loves dogs. And we mean, LOVES dogs.